We have affordable SEO packages & plans, proven to rank page #1 for your keywords, driving traffic, leads and sales and help grow your business. Our result oriented SEO services are designed to keep you ahead of the competition. 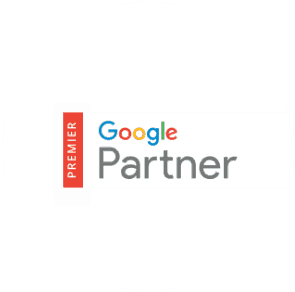 Google Premier Partners are the leading companies trusted by Google with demonstrated Google Ads skill and expertise, that are higher spending and meet additional performance requirements, client revenue growth and sustained and grown their client base and they use Google best practices. Each client in PageTraffic is assigned an Accounts Manager. Your point-of-contact is trained and certified SEO professional with a proven track-record in managing SEO campaigns successfully. He is backed by a Project Manager with years of search engine optimization experience. Get Your Free SEO Audit Now! Last year alone, PageTraffic's SEO Work helped over 400 companies get a combined 10 million extra visitors"
We first develop a better understanding of our client’s business to build the right foundation of website layout, content and SEO strategy. This phase involves analysis of your site, link structure, code, navigation and content of the website. This phase also includes analyzing your top competitors on the major search engines. We do your website audit for both design and functionality to find and fix issues hindering user’s experience and affecting your ranking. We conduct extensive research using varied tools and actual search data to find keywords worth your investment. Factors, such as your target clientele, geographic area and nature of your business are kept in mind while finalizing keywords. Code is like the 'life support system' of the website. Our SEO specialists analyze the code and rewrite the title tag, description tag, and keyword tag to ensure they are search engine optimized, search engine friendly and most importantly clickable. The focus is on content optimization through keyword incorporation, LSI, anchor text and interlinking. Pages are specifically optimized according to the different theme of each page/section on your site. The task is to get smart links from content marketing which promise maximum value in keeping with the changing search engine guidelines. All the links that we get are from a related and clean websites. We believe that a low Page Authority link from a related website is better than a high authority link from a random one. We believe social has become a part of search. That's why, all our packages come integrated with a social component to keep your social accounts active and search results truly diversified. New sites take longer than old sites to show up in top results. Once the campaign starts, we will provide you with an expected timeline based on technical site review and keyword analysis. Generally, new campaigns can take 5-6 months whereas established sites may take 3-4 months to show improvements. We have a 24/7 online project management system where your campaign(s) are set up, complete with individual tasks and milestones. You can talk to the team, send files, see all project reports, updates and find communication logs here. Who will work on my campaign? PageTraffic has a team of more than 80 experienced SEO professionals. We provide you an Account Manager who will be responsible for managing your campaign and will ensure that the campaign is on track. The Account Manager will be in contact with you through e-mail, Skype or phone. How will I know if the SEO campaign is making any progress? We do regular activity updates as well as send monthly rank reports for all the keywords that we are working on. In addition, we also provide detailed traffic and website usage reports to show how traffic source and conversions are improving. Are your link building methods Google Penguin safe? Do I need to do anything extra to comply with changing search engine guidelines? No, it's all taken care by us. Our SEO packages, processes and quality standards are constantly updated as per the latest changes in algorithms. From the link partners to outreach sites, we review everything from time to time.